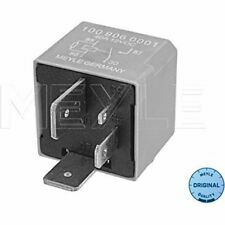 Genuine Audi A2 Indicator/Hazard switch relay. Brand new never fitted. In original box. UK bidders and postage only. PayPal or cash on collection only. 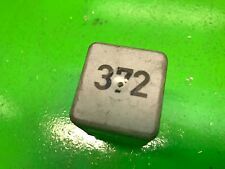 Audi A3 8L A4 B6 TT MK1 Fuel Pump Relay 167 - Topran Germany - 191906383C. This fuel pump replay will replace the original relay with number 167 and is normally a grey or white colour. 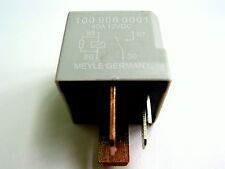 This replay is made by Topran Germany and replaces the part number191906383 or 191906383C. Part Number : 1K0 906 381. Part Number1K0 906 381. Mark / Model SeriesMK5 2004 to 2009. Part Number(s). VW Fuel, Heat, & Cooling Parts. Part Number 21K0906381. Part origin. Our parts are original VW used parts, so you don't have to compromise on quality when making huge savings. OEM Number 8E0951253. 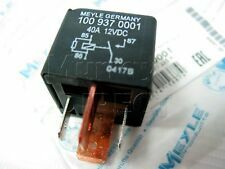 Fuel Pump Relay 614 nucite. 2008-2012 Audi R8. 2007-2009 Audi Q7. 2006-2008 Audi RS4. 2005-2008 Audi S6. 2005-2008 Audi A6 C6. 2003-2009 Audi S4. 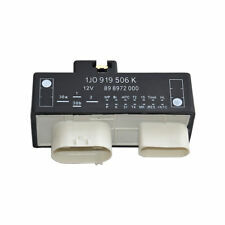 Hello and welcome to my listing for this AUDI TT MK1 98-06 8N RADIATOR FAN CONTROL RELAY MODULE 1J0919506N AUDI S3 A3. Condition is Used. Dispatched with Royal Mail 1st Class. This part is in good condition and perfect working order. Any questions please feel free to ask. Many other Audi TT parts are available check out my other listings. Thanks for looking and happy eBaying. 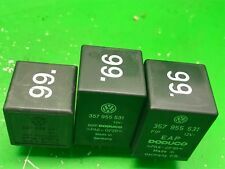 Here you are buying a single genuine VW Audi relay in good working order. 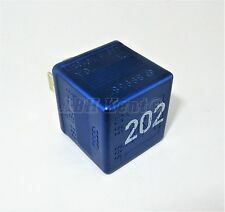 You have a choice of one from the following relays so if buying please let me know which relay you require. No. 36. Part number 3A0 951 307 No. 53 Part number 141 951 253 B No. 72 Part number 191 955 529 No. 167 Part number 191 906 383 C No. 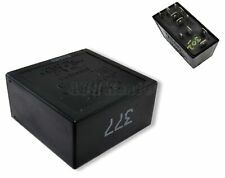 191 Part number 1H0 953 227 Please note you are only purchasing one single relay on this listing!!!! Thanks for looking Please check out my other items in my ebay shop for more parts Be sure to add me to your favourites list! Check out my other items! SEAT IBIZA MK III 1993-2002 HATCHBACK. SEAT IBIZA MK II 1993-2002 HATCHBACK. SEAT CORDOBA 6K1, 6K2 1993-2002 SALOON. AUDI A6 4B 1997-2005 SALOON / ESTATE. AUDI A4 1994-2001 SALOON. AUDI A6 4A 1994-1997 SALOON / ESTATE. Genuine 4 PIN No. 373 Black RelayMulti-Use. VW Caddy Golf Bora Passat Bettle. (Almost all models) (1984 - 2013). GenuineAudi / VW Part. Audi 100 200 A3 A4 A6 A8 TT Quattro.etc (Almost all models) (1984 - 2013). 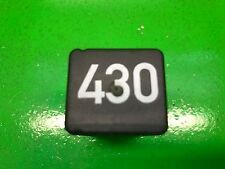 FOR AUDI A4 8K. This is an original quality part manufactured by Valeo. Suitable for both sides of the vehicle - Fits Left and Right.